Tippi Hedren. Actress Tippi Hedren. 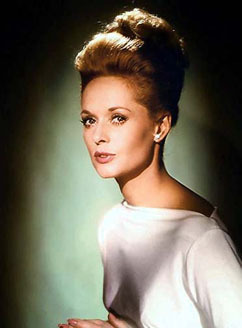 Wallpaper and background images in the Classic فلمیں club tagged: tippi hedren hollywood actress classic movies photo. This Classic فلمیں photo contains پورٹریٹ, آرچر, closeup, تصویر, and ہیڈشوٹ. There might also be گاؤن, nightie کے, رات چوغہ, nightdress, ناگوںگوون, ناگوںی, رات لباس, ناگوںدریسس, بلاؤز, کمری, دلہن, پاجاما, nightclothes, ناگوںویار, سلیپویر, and ناگوںکلوتاس. It is, I just love her in The Birds and Marnie! What a beautiful woman ! Unforgettable Marnie.